ThreatMetrix, A LexisNexis Risk Solutions Company, provides an end-to-end platform for digital identity intelligence and trust decisioning. The company’s solutions recognize up to 95 percent of returning website visitors. ThreatMetrix detects high-risk transactions and dynamically score them, enabling digital businesses to safely grow online revenue and personalize the digital experience for trusted customers. 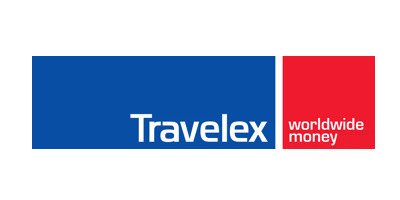 Travelex opened its first store in London in 1976 and now operates as the world’s leading independent foreign exchange business. Travelex has over 1,500 stores and 1,250 ATMs in 28 countries at key airport, seaport, rail, tourist locations. Travelex provides cash and pre-paid cards to over 39 million retail customers each year and we provide foreign currency to more than 1,000 customers every hour. Over 40% of the world’s travellers – 1.7 billion passengers a year – pass through airports where Travelex operates including the major gateways at Amsterdam, Beijing, Frankfurt, London, Hong Kong, Mumbai, New York, Paris, Sydney and Tokyo. Visa Inc. is the world’s leader in digital payments. Our mission is to connect the world through the most innovative, reliable and secure payment network - enabling individuals, businesses and economies to thrive. Our advanced global processing network, VisaNet, provides secure and reliable payments around the world, and is capable of handling more than 65,000 transaction messages a second. The company’s relentless focus on innovation is a catalyst for the rapid growth of connected commerce on any device, and a driving force behind the dream of a cashless future for everyone, everywhere. As the world moves from analog to digital, Visa is applying our brand, products, people, network and scale to reshape the future of commerce and advance financial inclusion around the world. Visa’s Global Public Policy group supports public policy dialogue and thought leadership aimed at expanding digital payments, promoting an open and competitive environment, and fostering financial inclusion. SWIFT is a global member-owned cooperative and the world’s leading provider of secure financial messaging services. We provide our community with a platform for messaging and standards for communicating, and we offer products and services to facilitate access and integration, identification, analysis and financial crime compliance. Our messaging platform, products and services connect more than 11,000 banking and securities organisations, market infrastructures and corporate customers in more than 200 countries and territories, enabling them to communicate securely and exchange standardised financial messages in a reliable way. As their trusted provider, we facilitate global and local financial flows, support trade and commerce all around the world; we relentlessly pursue operational excellence and continually seek ways to lower costs, reduce risks and eliminate operational inefficiencies. Headquartered in Belgium, SWIFT’s international governance and oversight reinforces the neutral, global character of its cooperative structure. SWIFT’s global office network ensures an active presence in all the major financial centres. EWPN is a not-for-profit organisation dedicated to building a community for women in cards, fintech & payments in Europe. As the first and only Pan-European community for women, EWPN strives to create more opportunities for women and minorities, as well as being a champion for a more diverse and inclusive industry for all. EWPN does this by organising local networking evenings, workshops, annual events, awards and research, which all are welcome to be involved in. The Hague Security Delta (HSD) is the largest security cluster in Europe. In this Dutch cluster –with important regional hubs in The Hague, Twente, and Brabant– businesses, governments, and knowledge institutions work together on innovations and knowledge in the field of cyber security, national and urban security, protection of critical infrastructure, and forensics. They share a common goal: more business activity, more jobs and a secure world. In The Hague region alone 400 security businesses realise more than 25% of the national turnover in security and employ 13,400 people. Nationwide there is a turnover of 6 billion euros and 61,500 people are employed in the security domain. HSD has three important regional hubs with their own areas of expertise. Twente Safety & Security (TS&S) is particularly strong in nano technology, safety, radar & sensor technology and the Dutch Institute for Technology Safety & Security (DITSS), located in Brabant, in high-tech solutions and camera and sensor technology. The main focus areas of the region The Hague are: cyber security, forensics, national security, and critical infrastructure. Vendorcom Europe is a multi-stakeholder business community that connects seekers, solvers and shapers in the European payments industry. It has helped shape the collaborative/competitive landscape in payments since launching in 2003 and has developed its reputation over the past 16 years by establishing itself as Europe’s definitive forum for keeping in touch with the what’s what and the who’s who in payments. It is the most trusted, independent forum for suppliers and users of payment systems in Europe. Vendorcom is as a single point of authoritative, credible, independent information and is the focal point for organisations who are part of, or want to engage with, the European Payments Community and are seeking to understand the dynamics of this diverse sector and its widespread national and regional variances. Russian Electronic Money and Remittance Association (REMA) is an industrial association founded in 2010. It currently represents 16 largest players of the Russian e-money and money transfer industry. The Association is a widely recognized center of competence on payments, specialized regulation, financial inclusion and financial innovations both in Russia and abroad. REMA consults regulators and private companies in Russia and elsewhere on the regulatory approaches, new technologies and risk mitigation strategies. We also represent Russian payments market at the Financial Action Task Force Consultative Forums and at the Alliance for Financial Inclusion. Central Bank Payments News (CBPN) - a Currency Research (CR) initiative - is a monthly e-publication dedicated to informing the worldwide central bank payments & market infrastructure community of the most relevant and timely payments issues impacting the central bank today. With a unique and in-depth payments focus tailored to a central bank perspective, CBPN is an independent and comprehensive source of intelligence that helps readers navigate a rapidly changing payments landscape. The e-publication is led by CBPN Senior Editor, Brianna Erban, and VP of Payments at CR, Gonzalo Santamaria. Payments & Cards Network is a recruitment agency specializing in everything fintech, payments and e-commerce. Our headquarters is based in Amsterdam and we also have offices in Atlanta and Singapore. With our international dedicated team of professional consultants and a large network of over 80,000 contacts in the industry, we connect you to highly skilled payment people in an efficient way. Besides, we run the 'Payments & Cards Magazine’, which is one of the leading online magazines for the payments & fintech industry with a reach of 150,000 professionals, high level decision makers and c-suite executives. Fintech News Switzerland covers stories about the Fintech Ecosystem – i.e. Mobile Payment, Personal Finance, Bitcoin, Blockchain, Robo Advisor and Lending - and Startups in Switzerland, UK and Europe. Fintechnews.ch also provides a bi-weekly newsletter with the most important information about the Fintech industry in UK & Europe. The Paypers is the Netherlands-based leading independent source of news and intelligence for professionals in the global payment community. Our products are aimed at merchants, payment services providers, processors, financial institutions, start-ups, technology vendors and payment professionals and have a special focus on all major trends and developments in payments-related industries including online and mobile payments, online/mobile banking, cards, cross-border e-commerce, e-invoicing and SEPA. We are also keen on keeping our readership informed with regard to online fraud prevention innovations and the most significant trends in the e-identity space. For more information, please contact us at editor@thepaypers.com. Consult Hyperion is an independent strategic and technical consultancy, based in the UK and US, specialising in secure electronic transactions. With over 30 years’ experience, we help organisations around the world exploit new technologies to secure electronic payments and identity transaction services. From mobile payments and chip & PIN, to contactless ticketing and smart identity cards, we deliver value to our clients by supporting them in delivering their strategy. We offer advisory services and technical consultancy using a practical approach and expert knowledge of relevant technologies. Hyperlab, our inhouse software development and testing team, further supports our globally recognised expertise at every step in the electronic transaction value chain, from authentication, access and networks, to databases and applications. For more information contact pressoffice@chyp.com. E-Commerce Nation wants to be the meeting place of all e-merchants who want to learn more about their activities, but also develop with the appropriate tools and knowledge. Some even call us "The E-commerce Bible"! Since the beginning, we have a collaborative philosophy to develop the project. For us, it is important to give visibility to everyone through our site and to support the actors according to their needs. 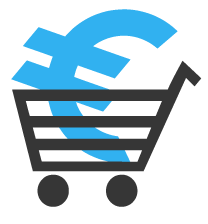 For this, the E-commerce Nation team puts all its experience within this site. Thus, find advice, solutions but also practical cases to accompany you on topics such as e-commerce, logistics, online marketing or even distance selling. Headcount is a leading independent provider of executive and management recruitment and talent mapping services, focused purely on the highly specialized needs of the transactional payments industry. Our experienced team of consultants have cultivated long-standing relationships across the full payments ecosystem, working on a global basis to bring together leading edge clients and high calibre executives and managers from a range of disciplines. For more information about our experience and services, please visit the headcount website: www.head-count.com or follow us on LinkedIn and Twitter. Bandwidth Recruitment is an independent specialist in the provision of permanent and contract/interim staff solely to the payments industry. Our track record of success can be attributed to many years recruitment experience combined with maturity and credibility. We have spent years working within the payments sector building an enviable network of contacts and successfully providing a first class recruitment service to clients and candidates alike. This network, combined with a thorough understanding of the payments lifecycle means we can discuss our clients’ requirements with knowledge and accurately match them to the very best candidates. We work with many of the key players in the card payments sector. Our clients may range from large corporates to smaller privately owned organisations but the service remains the same – excellent and great value. The Nilson Report is the most respected provider of news and information about the global card and mobile payment industry. 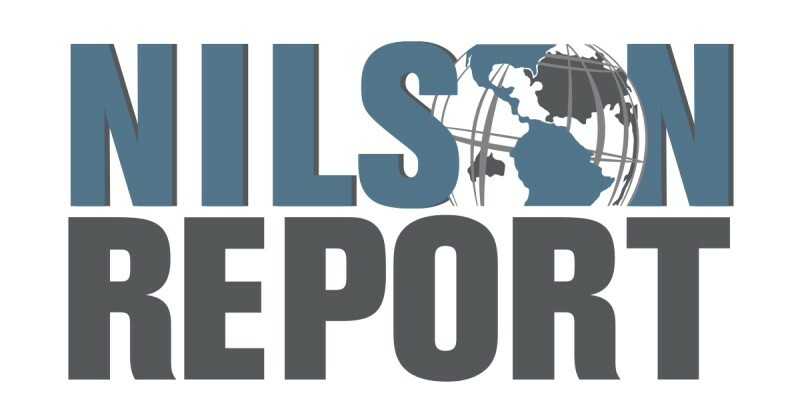 Available worldwide by subscription only, The Nilson Report directly surveys more than 2,000 financial institutions and enterprises to produce statistics about issuers, acquirers, and technology providers not available from any other source. Issues also include informative feature articles, concise updates about new products and services, and information about executive appointments. Articles are never written by vendors. The Nilson Report does not accept paid advertising of any kind. There is never promotion of sponsored content such as webinars or white papers. Download a free sample issue at https://www.nilsonreport.com/freesample. 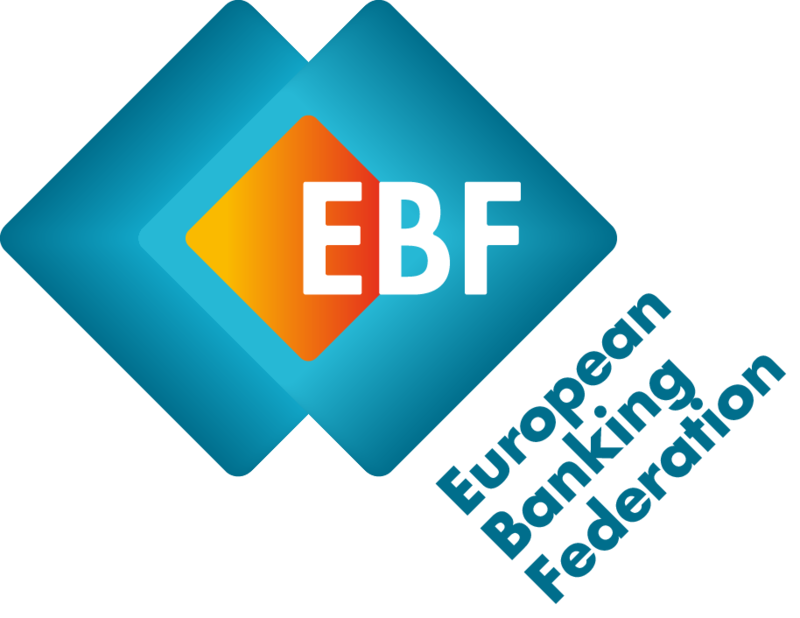 e-foresight monitors innovation signals globally, analyzes their impact and supports banking market players in Switzerland and Liechtenstein in their transformation.